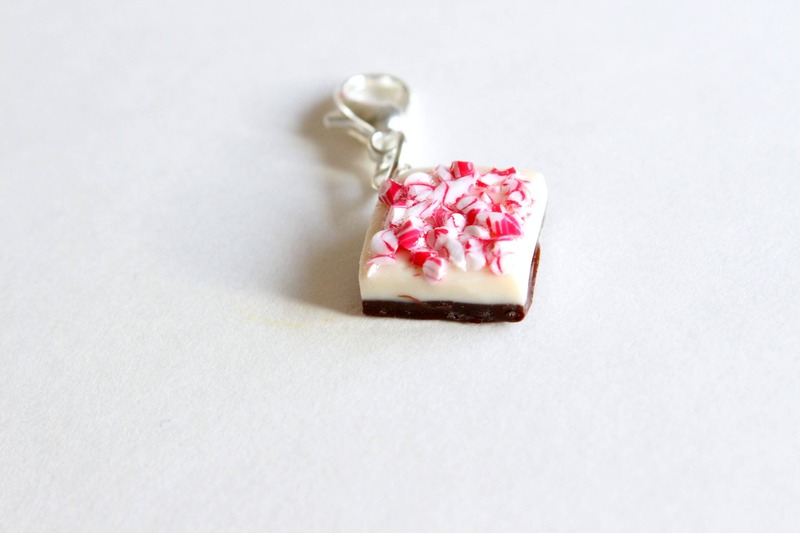 Add a sweet and festive touch to your knitting or crochet project with this charming little piece of peppermint bark candy. 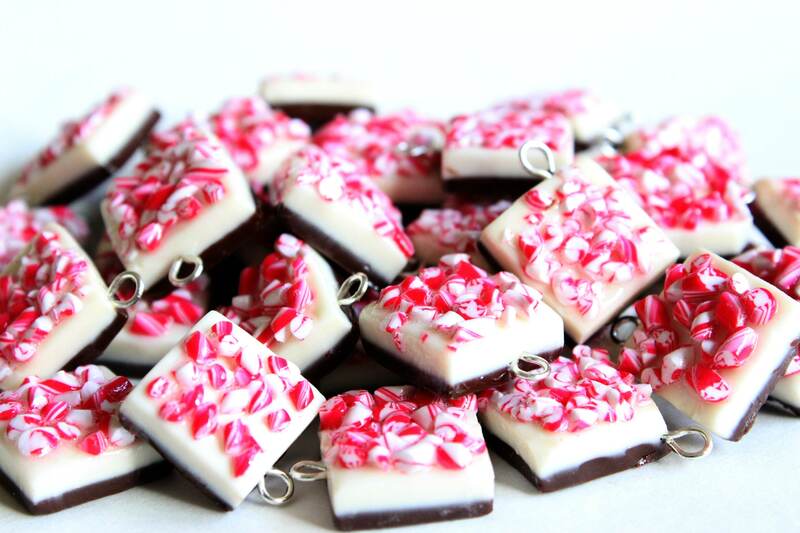 A layer of white chocolate poured over a layer of dark chocolate and sprinkled with crushed candy canes is just what you need to get into the holiday spirit. 2) Lobster Clasp - Silver plated - use as a progress keeper, zipper pull, etc. 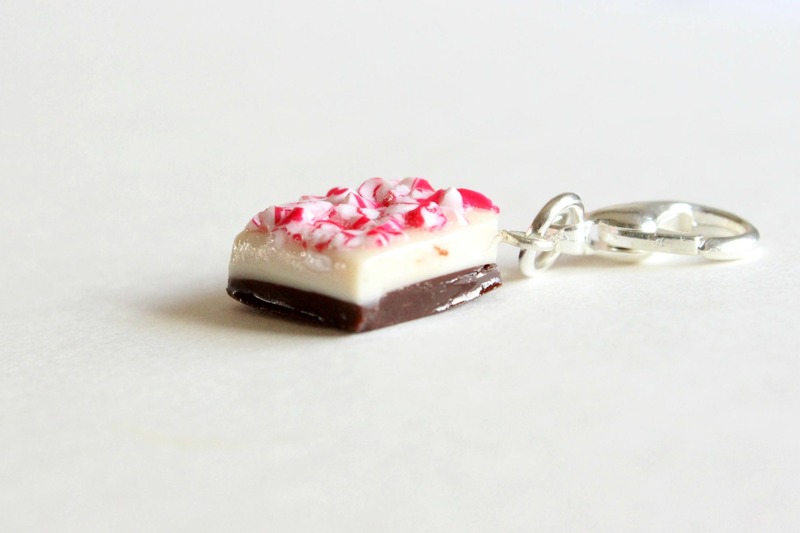 It would also make an adorable addition to any charm bracelet, necklace, phone dust plug, planner or scrap-booking project. The photos shown here were taken of the first batch I made. While I take great care to create as similar a product as possible to the photos, please know that they will all vary slightly in texture, size and color; this is the nature of handmade items and what makes them so special. Yours will be totally unique! If your order includes anything made-to-order, please know that all items will ship at the same time. Also, if any items in your order include a gift, and you would like them either packaged separately and/or gift wrapped, please leave me a note in the comment box during check out or send me a convo.